The World of Interiors is more than just an opportunity to snoop around grand estates; it’s chock full of the best design photography and writing, with book reviews, consumer insight and previews and listings of the best lifestyle and home exhibitions taking place. Every home explored is a feast for the eye and a treat for the imagination, with the inside track on what the rich, famous, creative and ingenious are doing in their less than humble abodes. A blank canvas is said to be a wonderful thing for creativity, presenting a world of opportunity and infinite possibilities. But it can also be daunting – especially when you have to live with the consequences for years to come. We do believe that ideas are powerful tools, but what if you could find out what really works before going to town on your own home? For thousands of interior designers and amateur decorators, that’s where a World of Interiors subscription comes in. 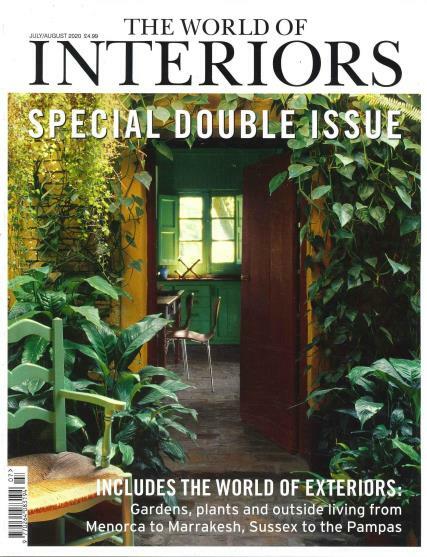 World of Interiors is more than just an opportunity to snoop around grand estates; it’s chock full of the best design photography and writing, with book reviews, consumer insight and previews and listings of the best lifestyle and home exhibitions taking place. And readers will find inspiration for their own homes in the most unlikely of places. If you’ve never thought of checking out crumbling castles or modernist apartments, seaside shacks or stately homes, ballrooms to boltholes for your interior design purposes, World of Interiors magazine will show you exactly why you should be looking far and wide. Whether you are brimming with ideas or lacking in vision, there’s something in World of Interiors for everyone to gain. You may have a grand design or a little weekend project, but with the help of this monthly publication you can get something great out of it. Don’t waste time and money on checking out colour schemes – let someone else show you how the experiment works first. I get this myself and gave it as a Christmas present. Very good magazine.